My idea for today’s post was to have a collection of stunning logos… but as I was searching for some new favorites, I became enamored with this one and I think it deserves a post all to itself. Don’t you agree? 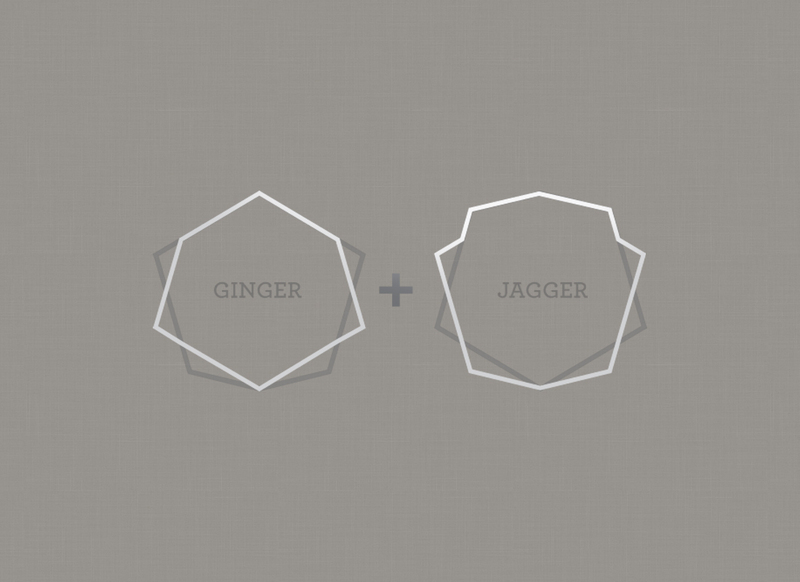 I love that this logo has two separate identities, Ginger and Jagger, that intermix and coordinate so beautifully. The geometric shapes are so solid and classic, yet bring this brand a trendy, and high-fashion flare. Ginger & Jagger is a European brand focused on creating nature inspired, modern furniture. Their logo was brilliantly designed by This is Pacifica, a graphic design studio from Porto, Portugal. Aren’t these shapes wonderful? Now I want to get to work adding more geometric patterns to my collages! You? I love the top logo. Simple. The geo shapes are more masculine, I like that about it. I so agree! I actually find myself drawn to more masculine designs quite often. Maybe I like hoe clean and neat the are? Plus I LOVE black and white which often comes off as more manly.